Rain over Manoa Valley. We outline things to do in Honolulu on a rainy day here. Whenever traveling to Hawaii, it can be disappointing to find rainy weather. You can expect frequent rainfall in the Aloha State. But on the other hand, this is why the islands are so attractively verdant and green. Fortunately, just because the rain clouds roll in, it doesn’t mean you can’t have fun. There are still plenty of things to do in Hawaii, especially in its largest city, Honolulu. 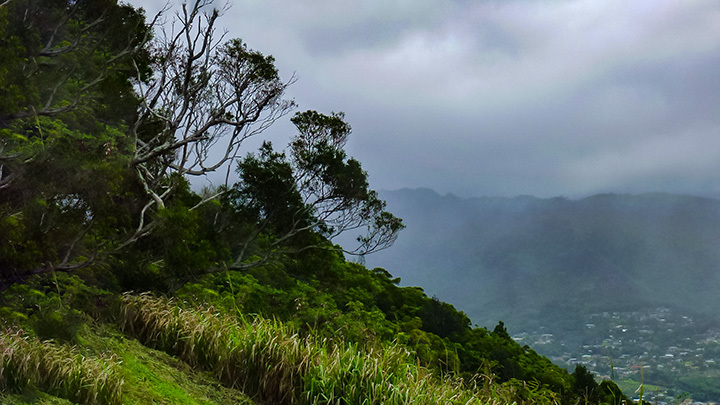 So here are some of our favorite things to do in Honolulu on a rainy day. 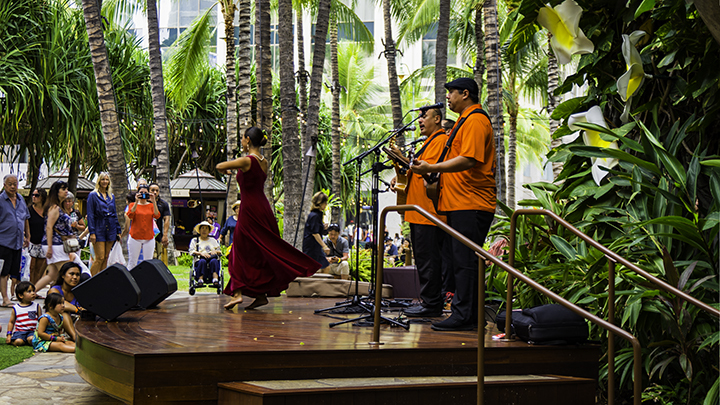 You can find live entertainment at shopping centers, such as the Royal Hawaiian Shopping Center. Learn what plays, concerts and performances are showing during your stay. Grab a complimentary copy of The Week Oahu or other tourist publications for information. You can find them at airports, hotels and shopping areas. When in doubt, ask your concierge what movies, concerts or plays are playing. The Waikiki Aquarium has a number of indoor exhibits. Here, you can learn about the wealth of marine animals that live in Hawaiian waters. You can see green sea turtles, monk seals and over 490 species of reef fishes. Children can experience hands-on exhibits and observe marine life up close. Still haven’t gotten your fill of observing life under the ocean? Then descend into a submarine and go for an underwater adventure on the Atlantis Submarine Coastal Tours. Honolulu is a hub of museums, historic sites, galleries and cultural centers. 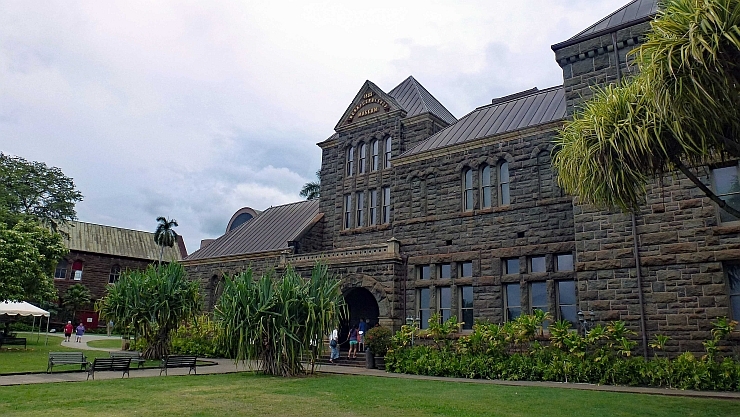 One of the best places to visit on rainy days is the Bernice Pauahi Bishop Museum. Here, you can find a vast collection of artifacts and exhibits on Hawaii’s history and culture. Another great museum is Iolani Palace. It’s the only palace in the United States where monarchs once lived. The Honolulu Museum of Art has over 50,000 pieces on display. While the Hilton Hawaiian Village has paintings, sculptures and lush indoor greenery that you can view. Another must-see for every American is the Pacific Aviation Museum on Ford Island in Pearl Harbor. Third floor view of Ala Moana Shopping Center. Shopping may be one of the best things to do in Honolulu on a rainy day. 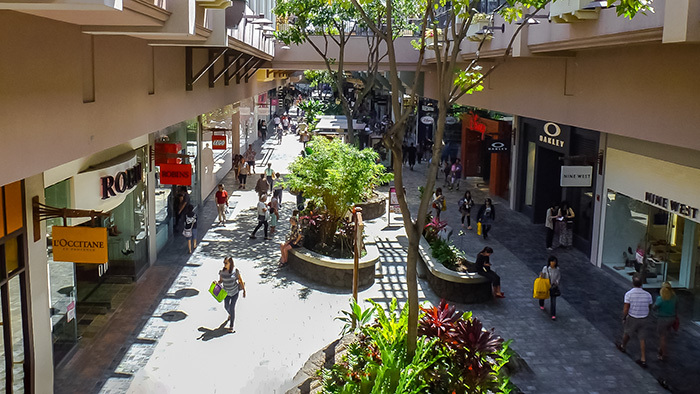 You can shop at Hawaii’s largest mall, the Ala Moana Shopping Center. Here, you can shop without getting wet by staying under the covered parts of the 290 shops and restaurants. For more options, visit the Royal Hawaiian Center in Waikiki, Ward Center in Kaka’ako, Pearlridge Mall in Pearl City or Windward Mall in Kaneohe. Enjoy a luxurious vacation by spending time in peace and relaxation indoors. Sign up for a yoga class or a meditation session. Better yet, find out what spa services your hotel offers. Or try the best spa nearby and opt for a deep-tissue massage. Nothing is as peaceful as staying cozy inside when rain patters against the window. Experience a Polynesian steam-therapy, lomilomi treatment or a seaweed scrub at one of Honolulu’s premier spas. If you don’t want to leave your hotel for a manicure, pedicure or massage, many resorts have staff who can service you in your own room. Grab your umbrella and your companion and head out in the drizzle to experience Hawaii’s wide range of dining options. You can try everything from quirky, but delicious hole-in-the-wall places to fancy, high-end restaurants. Let others opt for room service, while you go on an excursion to find the best cuisine on the island. Rainy days in Honolulu won’t limit your fun and they can even open new opportunities. For more useful tips, check out our travel to Hawaii guide.